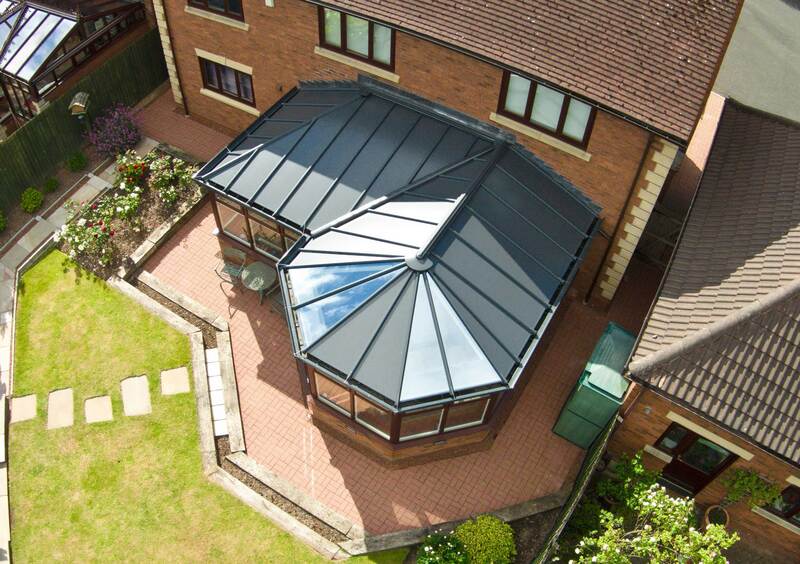 A conservatory roof conversion brings with it many different benefits. If you’ve been looking online for a reliable local installer specialising in high-end replacement conservatory roofs in Surrey, you’ve come to the right place. Castle Conservatories has the technical know-how and products to make your Surrey extension project a success. What are the benefits of a conservatory roof conversion? In this short article, we’ll discuss the types of systems available and the unique advantages each one brings. We’ll also talk about the overarching plus points of replacing your conservatory roof (instead of knocking down your existing structure and enduring additional cost and wasted time). To get inspiration for your conservatory roof conversion, be sure to pay a visit to our Virtual Reality Tour app. Step inside any of our orangeries, conservatories or extensions and click on features within each image to discover the benefits. Begin a conversation with a member of the Castle Conservatories team today by calling us on 0208 669 1500. Simply send details of your enquiry to info@castlecon.com to request a callback from one of our consultants. Tiled Conservatory Roof. The lightweight design of this tiled conservatory roof makes it the ideal choice for any homeowner in Surrey. Are you looking to renovate your orangery, conservatory or house extension? Then this option allows customers to choose either full-height glazing or Velux windows. We give homeowners control over the style of their room and how it receives light. Solid Conservatory Roof. Similarly, our solid option offers equal aesthetics to our tiled roof at first glance. It is a replacement conservatory roof conversion that can also be glazed. So the key differences are that the glass can be shaped to meet individual preferences and placed anywhere within the structure of the roof. This means that homeowners can control where the light falls. Glass Conservatory Roof. Are you interested in a glass conservatory roof conversion? Our glass-based system will fill your room space with space-creating light connecting it alongside the outdoors of your home. Add wide-spanning concertina doors or patio doors into your design blueprint to improve access. To talk about any of the conservatory roof conversion ideas highlighted above, get in touch with the Castle Conservatories team for a more detailed chat today. You may not be thinking of selling your home in Surrey just yet. But a conservatory roof conversion will make your property more marketable if and when that time comes. Breathe new life into your tired structure and turn it into a room for all seasons. So ask Castle Conservatories to install a replacement conservatory roof. As a result, buyers and visitors alike will be impressed by the changes you’ve made. The customers we speak to in Surrey are often unaware that a conservatory roof conversion is possible. They are all too ready to tear down their structure and endure the expense of building a new one. Because their conservatory roof is making the room space below it too cold during winter and like a tinderbox in summer. Turn your conservatory, orangery or extension into a lounge, study or whatever you prefer by contacting us today. Choose Castle Conservatories to complete your conservatory roof conversion and you won’t need to worry about complying with planning permission or building regulations in the Surrey area anymore. Take our tiled roof as a case in point. Its lightweight design means that it will only place minimal pressure on the foundations of your structure. Provide your home with a roof that satisfies all legislative requirements. Equally, the solid option we offer meets thermal efficiency requirements. Without the need for interconnecting doors, so you’ll be able to create an open-plan extension that will add value to your home. Find the inspiration that you need for your home extension project in Surrey by calling Castle Conservatories today on 020 8669 1500 or by emailing info@castlecon.com. So take a stroll through any of our stunning orangeries, conservatories or extensions by visiting our free and easy-to-use Virtual Reality Tour app. Get an online quote in just a few minutes and as a result of using our conservatory roof conversion design tool. Therefore you can explore different ideas using a range of different products.